There are a whopping 82,000 different ingredients used in the cosmetic and personal care products industry. If that makes your head spin and you want to do something to reduce the pervasive use of toxins in your home, a good start is swapping out your current liquid foundation for an organic one. This article will help you learn about the best organic liquid foundation options out there. These organic liquid foundation reviews consider both the ingredients used and the performance, so you won’t have to sacrifice coverage for health. How is Organic Foundation Better? Why Switch to an Organic Liquid Foundation? It is a scary thing to consider - a cost of looking beautiful could be a serious health condition later in life. Because, unfortunately, many of the skin care products on the market contain ingredients that are not well-researched. Therefore, nobody really knows what the long-term effects could be. Worse than that researchers have found that one in eight are known hazardous industrial chemicals. Among them are pesticides, carcinogens, degreasers, plasticizers, endocrine disruptors, and reproductive toxins. Not only are these horrible for your body and health, but also for the environment. One of the biggest dangers of conventional foundation is the chemicals that act as endocrine disruptors. Your endocrine system regulates all the biological processes in your body, so using chemicals such as propylene glycol, propylparaben, and methylparaben can lead to serious problems. Problems like reproductive system problems, metabolism changes, blood sugar regulation issues, thyroid problems, brain and nervous system dysfunctions, and many other health problems. How is Natural Organic Liquid Foundation Better? What you put on your body should be just as important as what you put in your body. Natural, organic ingredients are best! So, no matter your skin type, organic liquid makeup will be gentler on your delicate facial skin because they won't contain synthetic fragrances or other harmful chemicals. EVXO Cosmetics began in order to supply vegans with a makeup line that fit with their goals. Firstly, the EVXO makeup line is ethical vegan, gluten-free, and organic. Secondly, they do not use any animal products and do not do animal testing. Physicians Formula is another company that provides a variety of natural origin beauty products. The company formed back in 1937 when a loving husband created a unique line of cosmetics for his wife’s sensitive skin. They have remained steadfast to creating high-quality, hypoallergenic products. Their products do not contain any of 100+ known skin irritants including PABA. 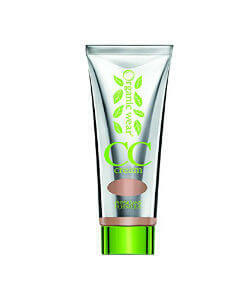 One of their products is their Organic Wear 100% Natural Origin CC Cream. It is ultra-lightweight and offers hydration and skin-nourishment while enhancing your complexion. 100% free of harsh chemicals, synthetic preservatives, parabens, GMOs, synthetic colors, and synthetic fragrances. And also 100% cruelty free! Customer reviews are mostly positive noting such things as it didn’t aggravate rosacea as other products did and the coverage was amazing. There's a lot to love about BaeBlu's liquid foundation. It contains all of the ingredients you want in a makeup- certified organic and natural ingredients and none of things you don't- parabens, harsh chemicals or artificial colors. BaeBlu prides themselves on making products that are 100% vegan and cruelty-free. 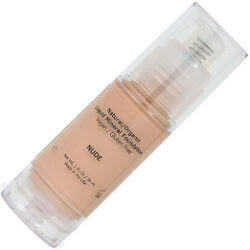 This particular foundation comes in 9 shades, so you're sure to find the color that works best for your skin. To ensure that you do, BaeBlu offers sample sizes of their foundation so you can try different shades before buying an entire bottle. You can even send in a picture of yourself, and their team will give you a recommendation. Talk about great customer service! Another great feature of this foundation is that you can choose which type of coverage works best for you. For fuller coverage you can use a makeup brush or sponge while a lighter coverage is achieved by using your fingers. Whichever you choose, this natural liquid foundation will give you a beautiful glow. If you're in the market for foundation applicators, be sure to check out our article on cruelty-free makeup brushes. Shimarz Liquid Mineral Foundation is all natural, 90% organic, vegan and gluten-free. It's light-weight texture allows your skin to breathe while also providing a silky smooth finish. This liquid mineral foundation is offered in 6 shades. The company understands how difficult it can be to choose the right shade the first time. 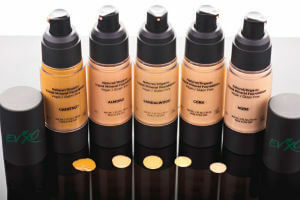 As a result, they offer a "correct shade guarantee" with any Shimarz foundation. If you've chosen the wrong shade, they will send you a different one at no extra charge! Moreover, they also offer a 30 day trial. So, if you don't love it, they'll give you a refund. With so many different companies to choose from, we love it when one backs up their products with no risk to the buyer! Nvey Eco is certified by NATRUE as using the most ethically sourced materials. It has no less than 70% organic raw material and the rest is completely natural. All ingredients and even the packaging are sustainably sourced. And cruelty free! They use only the highest quality essential oils (not mineral oil) that nourish your skin. It is vegan and contains no parabens, petrochemicals or synthetic fragrances. The product contains wild marjoram, thyme, cinnamon bark, rosemary, lavender flower, golden seal root, chamomile, cucumber, honeysuckle, rose absolute, calendula oil, and other natural ingredients. 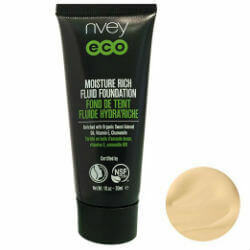 One Nvey Eco foundation review notes that it stays on all day and has awesome coverage. 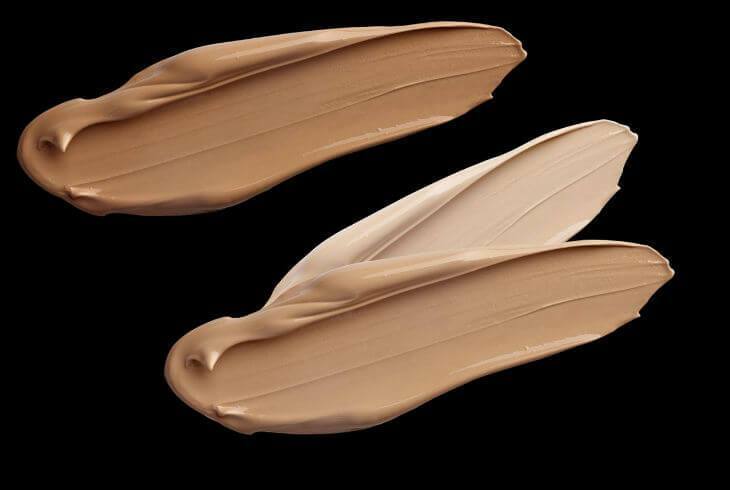 I hope that these reviews are just what you need to make the choice easier so that you can find the best natural liquid foundation for your beauty routine. While they all perform well and do not contain all the harmful chemicals you do not want to put on your skin, you may find one more suited for your complexion than another. A great tip is that sometimes the best option is mixing two different shades to get the result you want. Of course, you can always go with the one that makes a customized color if you already have a shade you love but just don’t love the chemicals in it. Everyone wants to look beautiful, but nobody wants to risk their health for the pleasure. There are plenty of natural products you can use that won’t put your health at risk. Isn’t it time you tried them?